A new European study has looked at the water consumption of various diets, with consumers and their dietary habits playing an important role. According to the report, a healthy meat-free diet would significantly reduce water consumption, and thus benefit the environment. The study, published in the journal “Nature Sustainability”, is the work of a scientific team from the Joint Research Centre of the European Commission. According to the researchers, the avoidance of meat could reduce water consumption for food production by about half in some cases. Even if all the inhabitants of Germany, Great Britain and France switched to a healthier diet which included meat, water consumption would be reduced by up to a third. Although reducing water use is important for the environment, there has been no detailed analysis of how much water could be saved in food production in individual European regions. To make up for this, the study authors collected the available data from 2007 to 2011 on water consumption in agriculture for the smallest possible geographical units. In France this was about 35,000 municipalities, in Great Britain about 8,500 statistical units, and in Germany 412 counties and cities. Currently, the average water consumption of food production in the three countries is lowest in the UK at 2,757 litres per capita per day, followed by Germany at 2,929 litres. France, on the other hand, consumes 3,861 litres per capita per day. 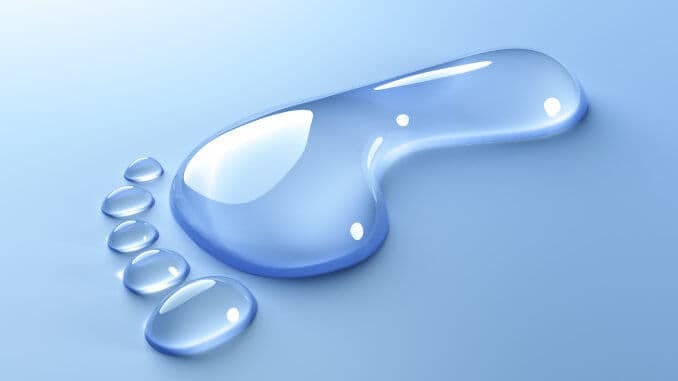 Davy Vanham’s research team used the so-called water footprint to calculate the data, which indicates how much water was consumed for each food item. The change to a healthy nourishing diet with little meat and more fruit and vegetables could, according to the study, lead to a water saving of 11 to 35 per cent. For a diet with no meat, but some fish, 33 to 55 percent would be saved. For a strictly vegetarian lifestyle, it would be 35 to 55 percent. “The residents of all the currently compared regional units consistently eat too much sugar, oils and fats, and (red) meat, along with milk and cheese taken together,” write the researchers. In addition, the French and Germans consume too few fruit and vegetables on average. Britons and Germans eat too little fish and drink too much alcohol. “The changeover to a healthy diet is not only good for human health, but also significantly reduces the consumption of water resources,” it continues. “These data can be used at different policy levels to stimulate strategies targeted at specific geographical units,” the scientists stress. Policies can provide tax incentives, steer production or consumption through policy measures, and inform, promote or empower the population, for example through labelling and community initiatives.